The Reserve Bank of India (RBI) on Tuesday said it is launching a new batch of Rs 500 notes. “In continuation of issuing of 500 Rs notes denomination banknotes in Mahatma Gandhi (new) series from time to time which are currently legal tender, a new batch of banknotes with inset letter “A” in both the number panels, bearing the signature of Dr. Urjit R. Patel Governor, Reserve Bank of India; with the year of printing ‘2017’ on the reverse, are being issued,” RBI said in a statement. 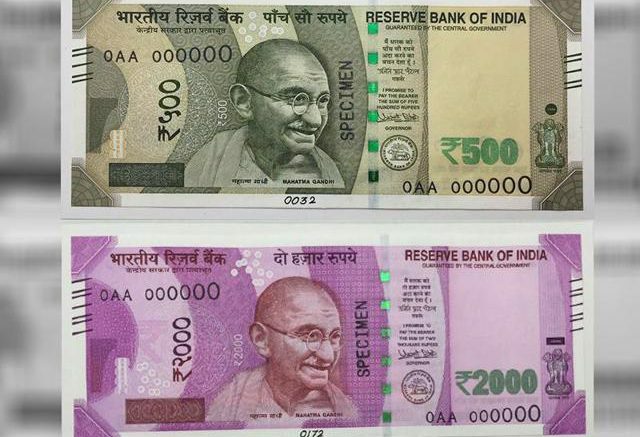 The design of these notes is similar in all respects to the Rs 500 banknotes in Mahatma Gandhi (New) Series which were first notified on November 8, last year after Prime MInister Narendra Modi outlawed old high value notes of Rs 500 and Rs 1000, in a bid to crackdown on black money. The new series earlier released and currently in circulation has the inset letter “E”. They will continue to be valid. Last week, RBI had said that nearly 83 per cent of the currency has been remonetised and denied there was any shortage of cash in the system. Minister of State for Finance Arjun Ram Meghwal in reply to a question in the lower house of the Parliament, Lok Sabha in December last year had said that the day on which demonetisation was announced (November 8), there were 17,165 million pieces of Rs 500 notes and 6,858 million pieces of Rs 1,000 notes in circulation. The data on the amount of demonetised notes returned, however, is still not available. Be the first to comment on "RBI launches new batch of 500 Rs notes"